kurktu wrote: Can I define public areas within an owned area? Just protect another area inside the first one and set it to open. Ah ok cool how do I set it to open then? That command was not documented in the Readme ^^"
Is this MOD still functional in the latest version of the game? I am trying to run the commands and always appears invalid command. Also, what exactly are you typing? I downloaded the version of the site (Windows Minetest 0.4.17.1 - portable, 64-bit). I put the mod in the folder indicated. But the commands do not work. I tried starting a minetest_game or the minimal option. None worked. frbitten wrote: I put the mod in the folder indicated. But the commands do not work. Did you activate the mod ? Try /help to see what commands are available. Also, look into debug.txt for errors / messages. I solved the problem. I was putting the mods in "minetest \ mods" and the correct place was "minetest \ games \ minetest_game \ mods"
What is the minetest \ mods folder for? Osm mods appear in the list on the main screen, but are not loaded in the game. frbitten wrote: I solved the problem. You moved the mod from the correct location into the wrong one. 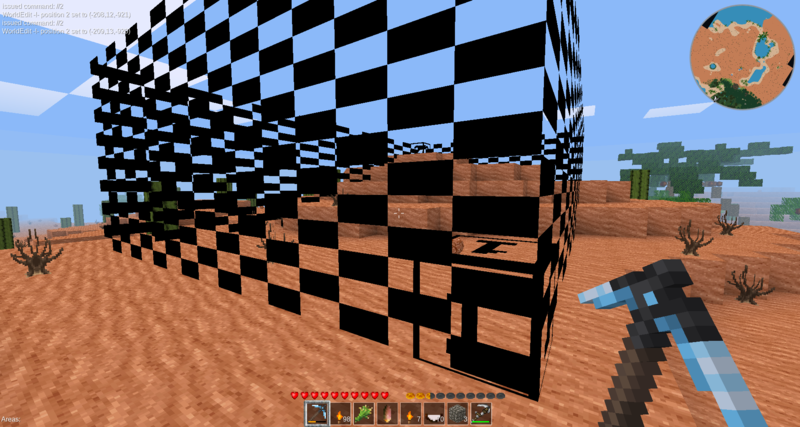 Move it back to minetest/mods and configure your world and enable the mod. See this or a similar video for detailed instructions. If you put your mods into minetest_game, they will be enabled for all your worlds and updating minetest_game to a newer version will become a pain. Where can i Modify pos 1 Y and pos 2 Y ? For pos 1 y = -30000 and pos 2 y = 30000 ? For create a Height of -30000 to 30000 for all Areas ? I have self protected an area, but other users still can build and remove blocks. mase wrote: I have self protected an area, but other users still can build and remove blocks. Are you sure the other players don't have the areas or protection_bypass privilege? No, they only have the interact and the areas_high_limit privilege. Self protection is enabled. Only the admin has the areas privilege. can you please add an function to add groups in an area? 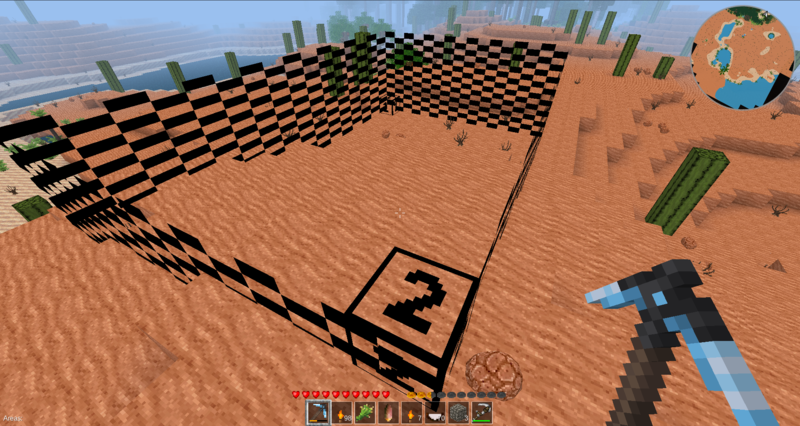 so i can add in an area the group1 as owner, so there can mine and build player1, player2, and player3. Hi, thanks for the area mod, i have a question, this is possible to add same borders like Worldedit mod ? It's very usefull to real time show complete area selected. ShadowNinja is absent recently, does anyone else have push access to the repo? I have an issue i need to discuss in private, anyone with push access please PM me. If not, maybe this mod should move to 'minetest mods' to be maintained? It is very popular. I've also merged some PR requests. If you didn't see your PR applied, please ping me and we can discuss (there were likely merge conflicts or unaddressed comments). Let's maintain this together in minetest-mods until SN returns! is this mod compatible to MineClone2? are there any mods out there? cHyper wrote: is this mod compatible to MineClone2? are there any mods out there? There shouldn't be any issues with using it in different games. The underlying mechanisms are all identical - give it a try?